The stile gives access to a footpath crossing the field almost straight ahead. The view is over Chew Magna, mostly lost in the trees. 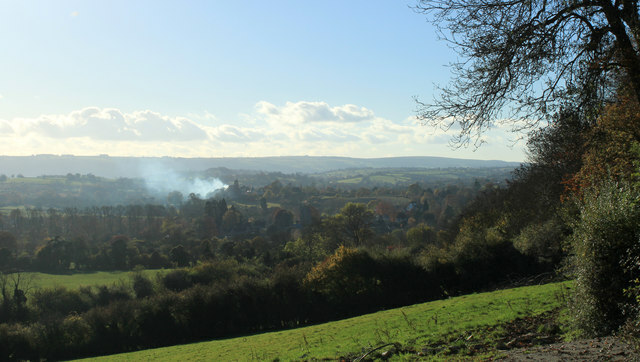 A bonfire burns somewhere north of Chew Stoke, the distant hills are west of the Chew Valley Lake.